On 26 March 2019 Devi Mohan conducted a beautiful presentation about the recent experiences in India, with focus on Kumbha Mela and Active Peace pilgrimage - exploring the mysteries of India, the way the yogis and mystics of India operate and her adventurous experiences with Mohanji during Kumbha Mela in 2010 as well. 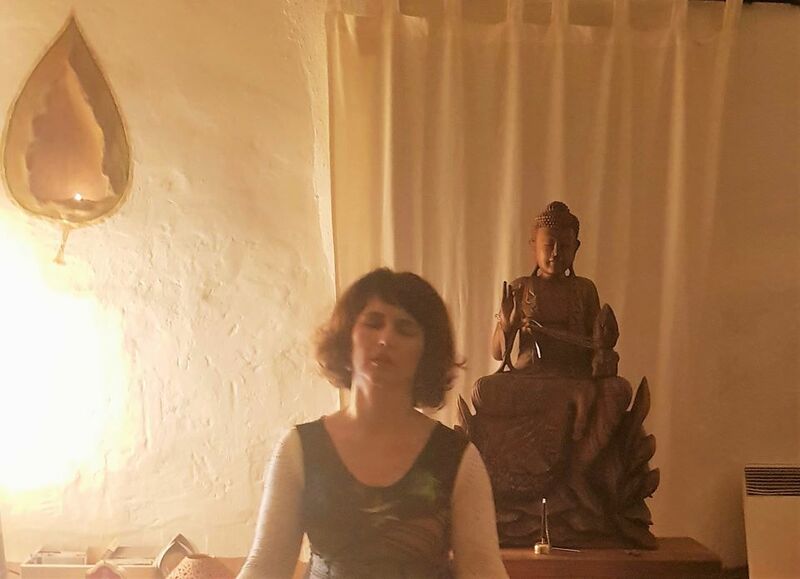 Devi also briefly spoke about the amazing energy at the Bosnian pyramids and invited all to join the pilgrimage with Mohanji at this blessed high energy location 26 - 30 May 2019. 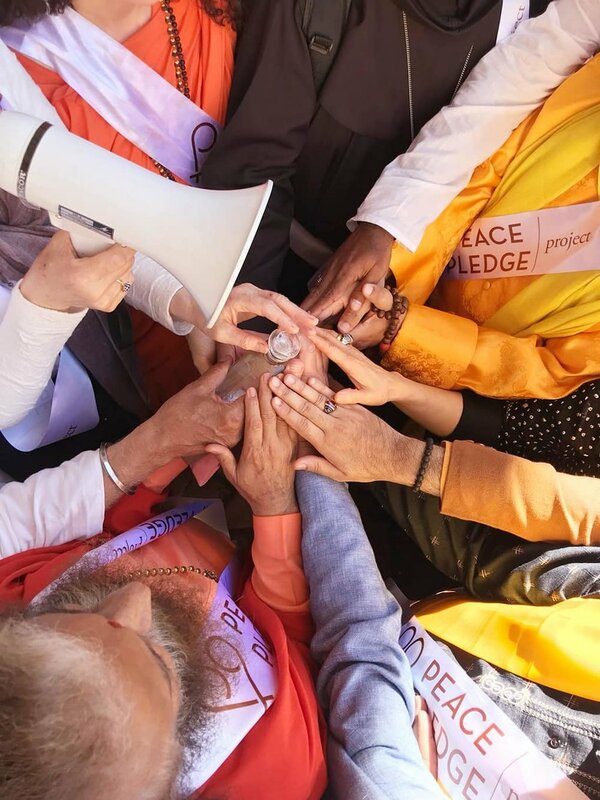 17 Feb 2019 marked the beginning of the Peace Pledge Pilgrimage in India called "Active Peace". 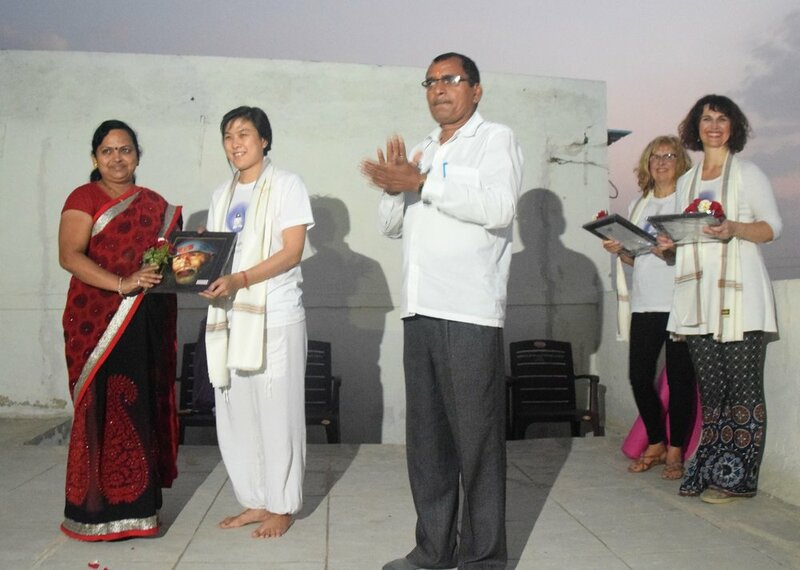 It started at the Kumbha Mela, where Devi Mohan, Global Ambassador of Mohanji Foundation, and Barbara Dizdarevic, President of Mohanji Youth Club, participated in many wonderful activities and events on behalf of Mohanji Foundation. 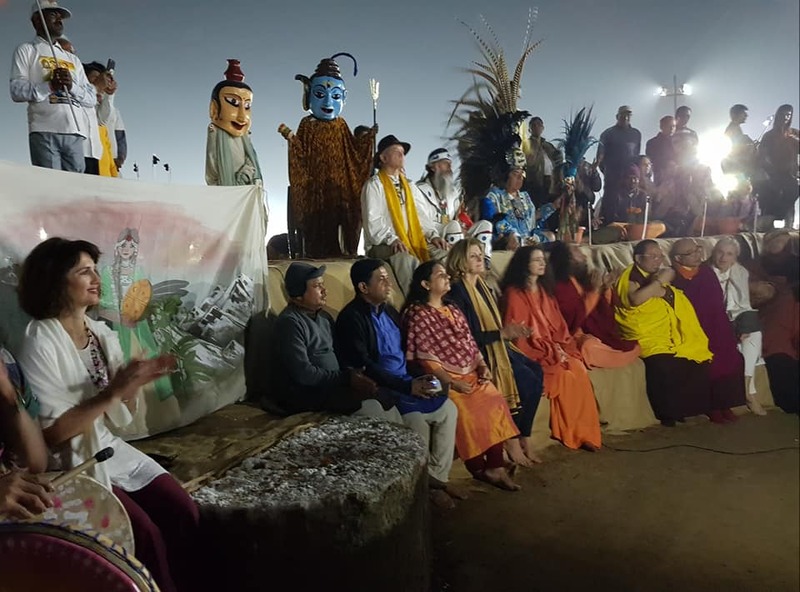 Beautiful interfaith events, two dips in the sacred waters of the Sangam, and a colorful celebration of the "United Nations of the Spirit", in the presence of the elders from indigenous communities of Latin America, marked the Kumbha Mela leg of the Peace Pledge, hosted by Pujya Swami Chidanand Saraswati and Sadhvi Bhagawati. HH Tai Situ Rinpoche delivered a beautiful talk during the evening event before the Arati. It was followed by a celebration (dance and meditation) at the indigenous "Kiva" made especially for this ocassion. On 13 Feb 2019, HSTY teachers led by Devi Mohan conducted an unforgettable Yoga session for speech and hearing impaired children, sharing love, joy, yoga asana, pranayama and mudras that are beneficial for the children. And they loved it so much! It was truly heart-warming to share that energy with them, to share the love, receiving so much more than we could ever give! Immediate ways of adding value to this school through donations via Ammucare Charitable Trust/ACT were also looked into. HSTY team was thrilled to add value and experience the immense joy of selfless service, the true Karma Yoga. 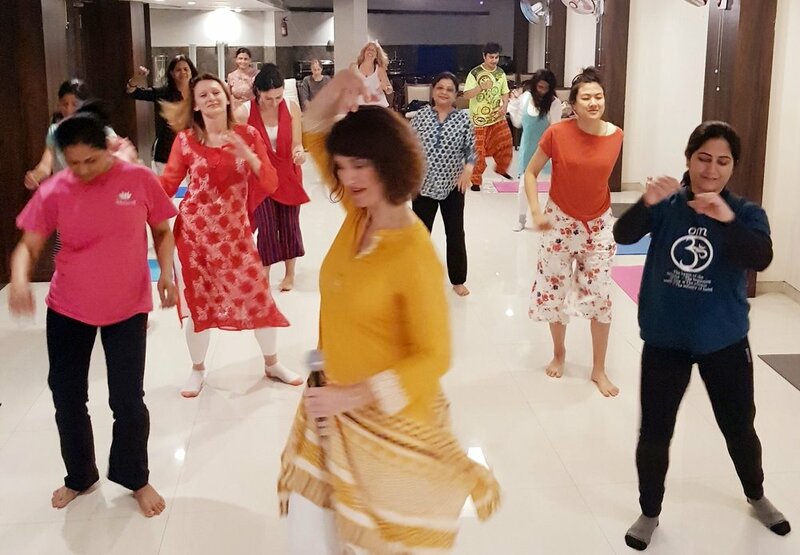 On 12 February 2019, in the midst of the Himalayan School of Traditional Yoga Teacher Training Course, HSTY was blessed by Sai Baba in the most unexpected way - by being welcomed on the stage to conduct an open Yoga session at the very premises of Shirdi Sai Sansthan. The beautiful energies engulfing HSTY team and the audience made the evening truly special. Local media from Maharashtra state of India covered the event. 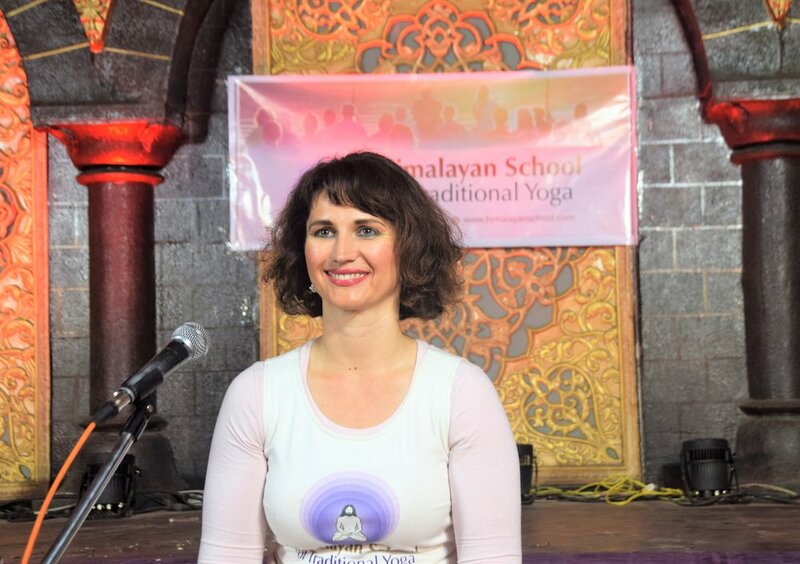 Devi Mohan, Senior Teacher of HSTY, who also happened to act as a heroine in a Marathi movie "Foreignchi Patlin" in 2008, shared her love for Yoga, the great lineage of Datta Masters and the ancient shastras with the audience, highlighting the true importance and value of Yoga. Conscious Dancing is always a blissful experience, but in the sublime energies of Shirdi, it literally exploded! As if taken into a whole new world of bliss, our future HSTY teachers experienced the state of Yoga through dance. 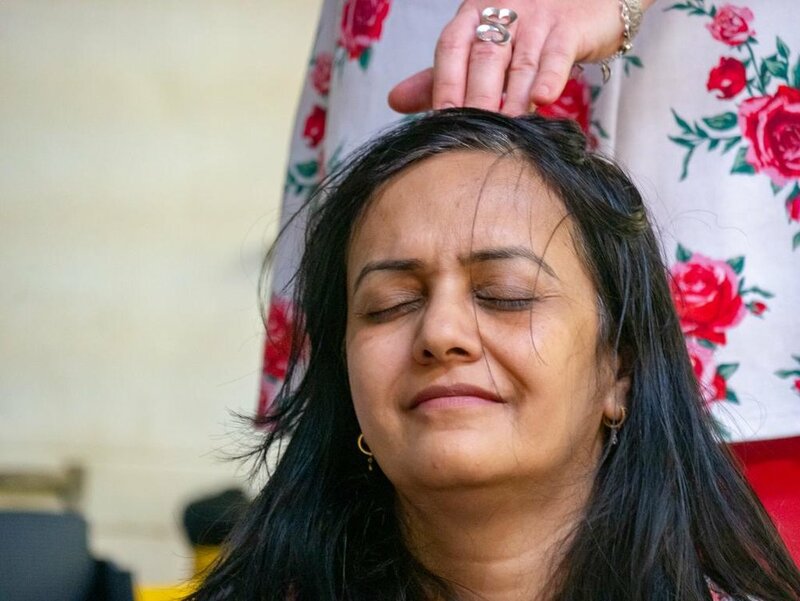 Power of Purity meditation with intense Mohanji Energy Transfer right after Conscious Dancing was also super heightened, melting the hearts into oneness. 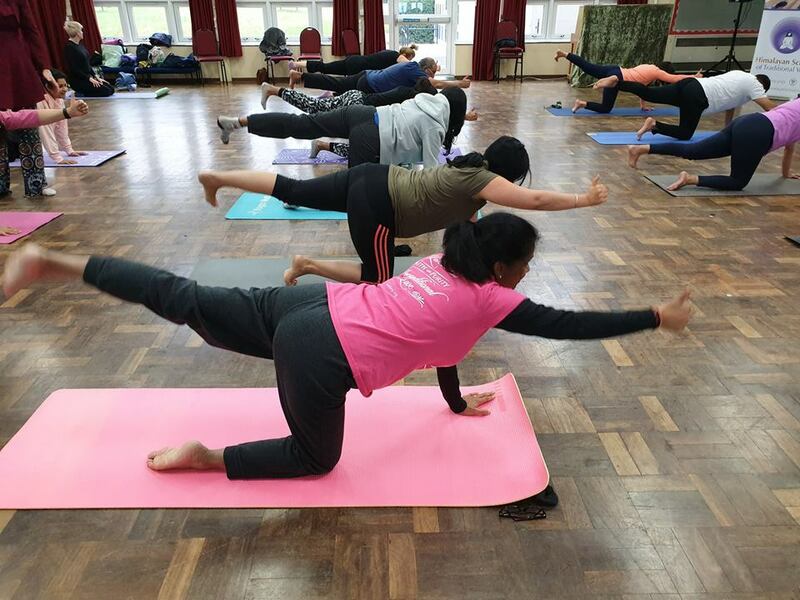 Commencing with the Himalayan School of Traditional Yoga, that was an amazing session of nearly 2 hours flowing from insights of the science of Yoga benefiting our lives to various pranayama to some essential asanas, Devi kept everyone engaged into the very powerful session. 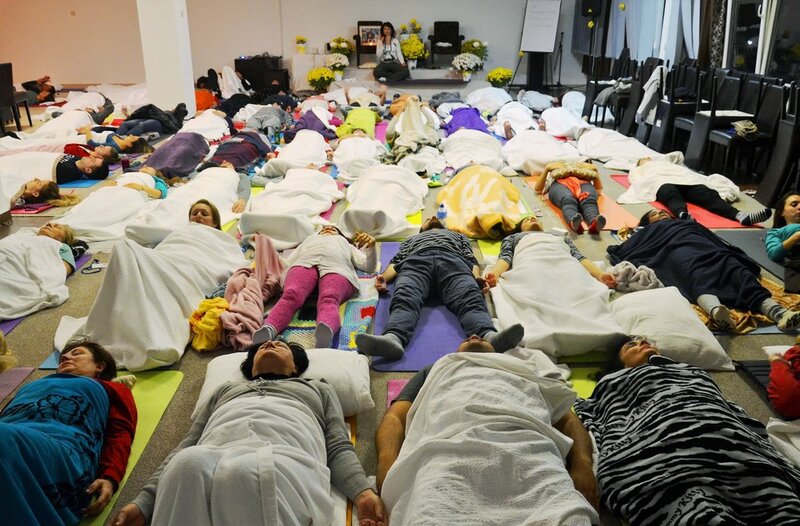 Afterwards, Devi led the group into Awakening Yoga Nidra which left everyone mesmerised and with astounding experiences. A healthy and light vegan lunch prepared so lovingly by volunteers, helped the participants to get grounded after the high hitting AYN. Then followed the ecstatic Conscious Dancing! At the end, Bliss of Silence meditation took all the participants to the inner peace and silence. 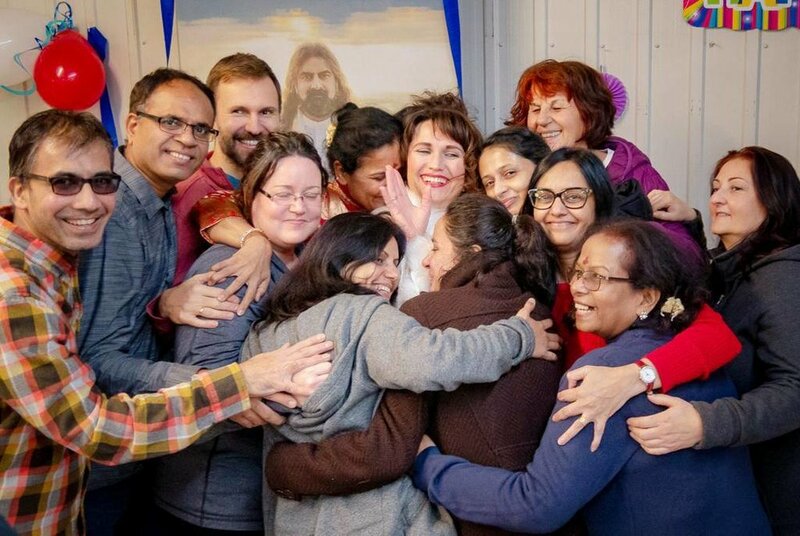 It was a beautiful gathering of people from St. Ana, Lenart, Ljubljana, Graz, Serbia, Peru... - our experience sharing afterwards simply wouldn't end.. :-) Lots of love to dear Dhiraj and Luz for having us with them at their center made with so much love. Gratitude to dear Jelena Fassbender on the lovely pics. 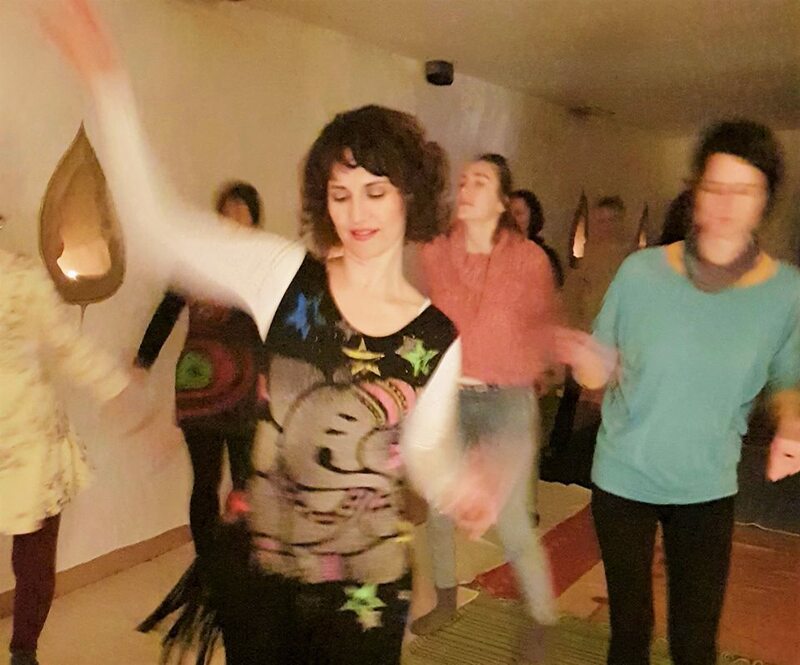 Our next Conscious Dancing at Pachamama is planned for mid March 2019. 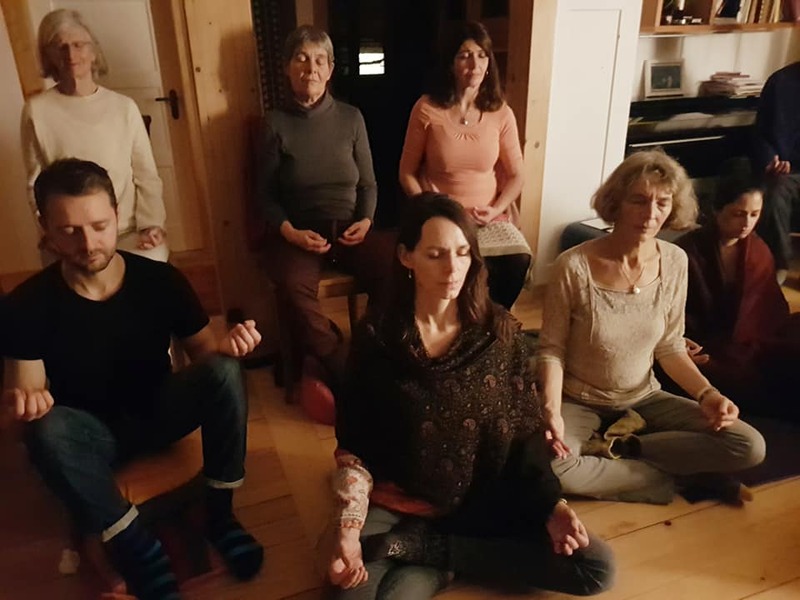 A big thank you from the heart to our amazing Judith and Andreas Kramer who transformed their home into a meditation and camping venue over the weekend! Well done Judith, Meret and team - to bring people from Germany, Switzerland, UK and Israel to one venue was a tall order, but it all flowed so smoothly. 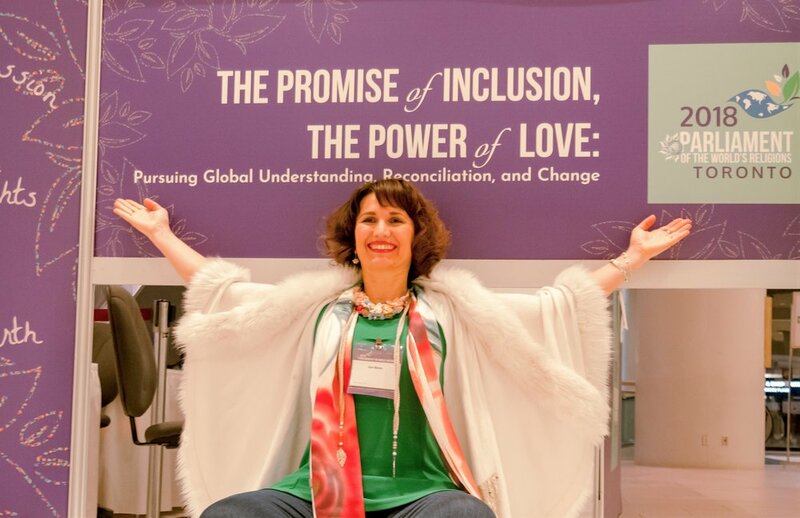 During first week of Nov (1 -7 Nov 2018) Devi represented Mohanji Foundation at one of the most amazing global events of humanity - the 2018 Parliament of the World’s Religions. This event featured more than 500 programs and events across six major tracks with an expected attendance exceeding 10,000 people - from 80 nations and more than 200 unique spiritual backgrounds. Devi said: “I was honored to be part of the platform which gave voice to some of the greatest leaders in history of humankind: Swami Vivekanada, Nelson Mandela, Dalai Lama, Jane Goodall, and many more. For its 2018 theme, the Parliament of the World’s Religions drew from the movements of goodwill and cross-cultural respect that are embodied in the spirit of the interfaith movement: “The Promise of Inclusion, the Power of Love: Pursuing Global Understanding, Reconciliation, and Change” was the main theme of the event. I spoke on the 2nd day of the Parliament, partaking in the panel discussion “Interfaith Peacemaking Perspectives from Across the World”, highlighting the importance of interfaith peacemaking through selfless service and experiential spirituality rooted in inner truth. Edited version of the key parts of my speech at the PoWR can be viewed here . Yoga strengthens the inner fire (agni) which is the heart of our immunity but also helps us digest the painful moments of life. 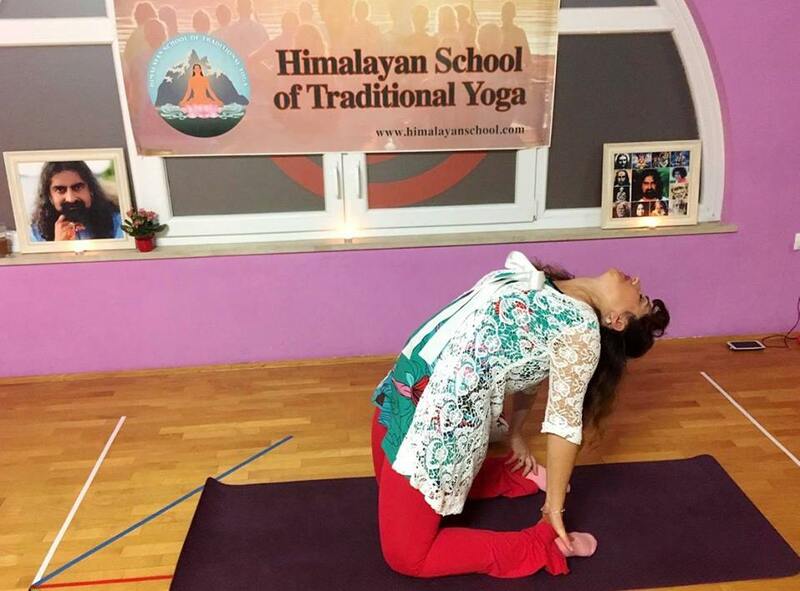 Aside from the regular Yoga sessions being conducted at the Primary School St. Ana and Primary School Lokavec for the general public, in early Nov 2018 Devi also conducted a special session for the children. Her aim was to teach the children of St. Ana Primary School how they can improve their performance at school manifold if they practice simple breathing techniques and yoga asanas in the morning and before important exams. From Greenland, Peace Pledge participants from around the world continued to Assisi, Italy the home of St. Francis, “to pray, celebrate, meditate and pledge to work together based on the principle that Loving-Kindness and Compassion can overcome discord and lead to human unity and peace”. 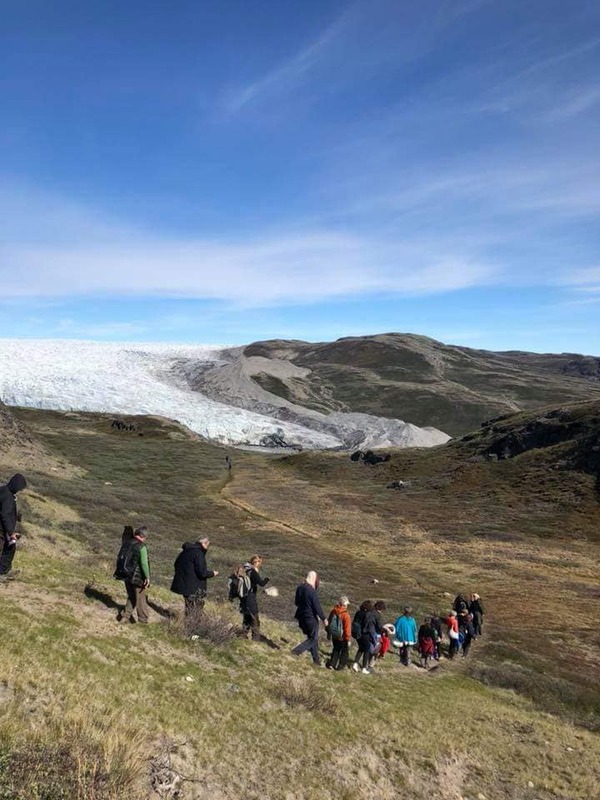 Bottles of sacred ice water were carried from Greenland, in order to be merged with the water brought from Gangotri, India on the sacred ground of Assisi. 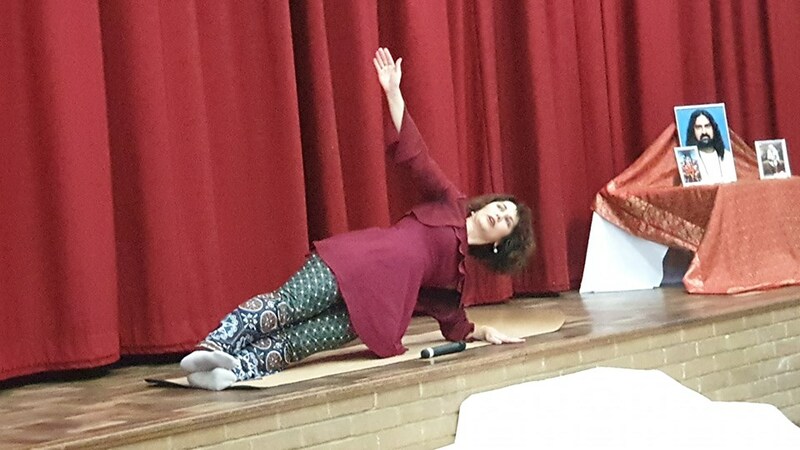 Devi Mohan was honored to conducted several morning Yoga sessions for the Peace Pledge participants in the beautiful energy of St. Francis of Assisi basilica. 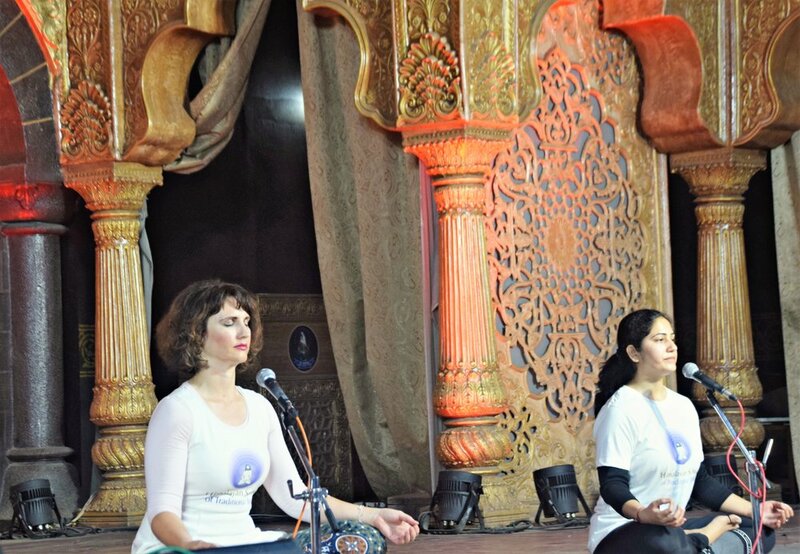 First HSTY Yoga DVD was launched at this event. The most beautiful photo of ‘Heart of humanity pledging peace’ was taken by Filip Agoo and his enthusiastic creative team. Devi said: “On 21 June 2018, the summer solstice (the longest day in the year - and it surely was!) 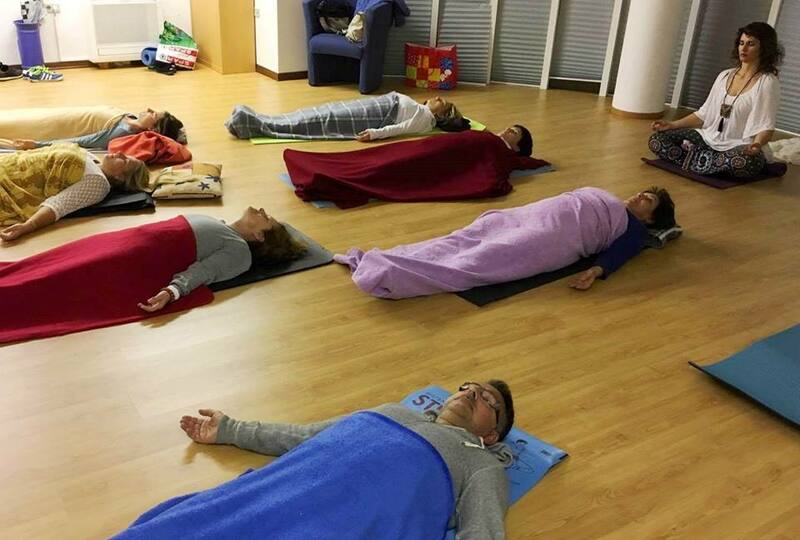 and International Day of Yoga we started the journey at 4am. Before midnight we were at the polar ice, in its eternal daylight. We surely were up for a challenge, way out of our comfort zone. 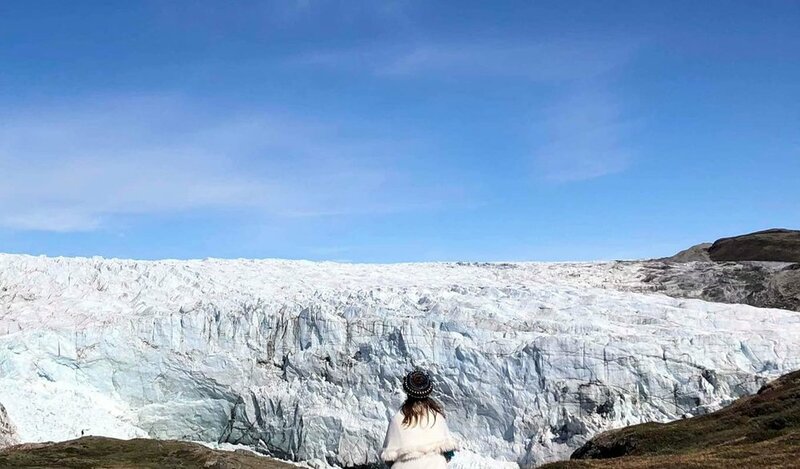 Sleeping in the tents, surrounded by an unforeseen quantity of mosquitoes, no bathrooms - but the moment we saw the Big Ice we forgot about all that. It was so worth the trouble. There was something about it - the vast whiteness and purity of the polar ice spoke to our hearts. I could literally see/feel the ice radiating energy. It was just so indescribably beautiful. And our dear Uncle (the Eskimo elder Angaangaq Angarkkorsuaq) welcomed us with great love, warmth and humor to the home of his ancestors. His speeches were really touching. He said the ice was only one third of what it was before. The glaring reality of our environmental crisis was right before our eyes. And this is why we were here - to raise the awareness of other people who, preoccupied with daily life, simply don't see this reality. I felt blessed by meeting some amazing people doing great work for humanity. 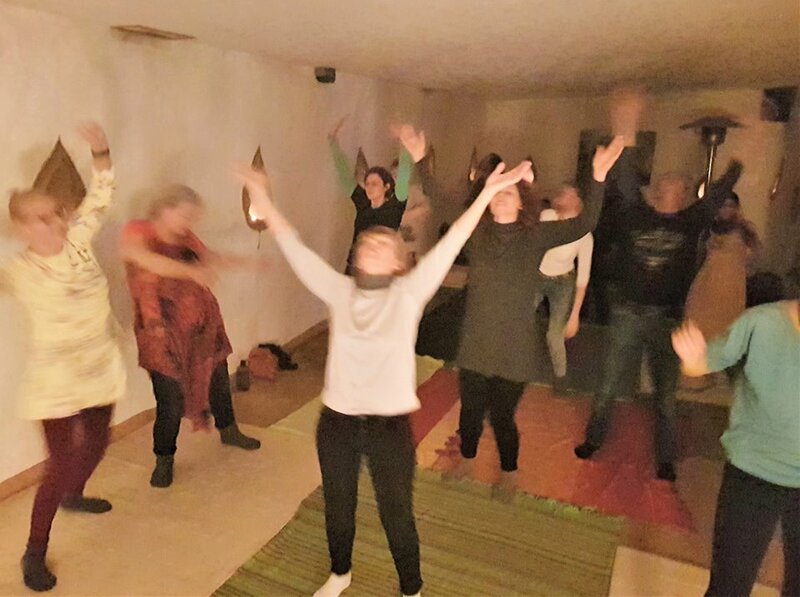 Yoga moments in the embrace of Shakti at the blessed power place called Machu Picchu in Peru - just being in those sacred energies is Yoga… In Cusco and Lima Devi conducted two Yoga sessions for the local people, sharing the knowledge of Himalayan School of Traditional Yoga. Towards the end of HSTY Teacher Training course in January 2018, lovingly supported by the international HSTY TTC participants, Devi Mohan conducted a fun Yoga session for the needy children from Adavasi community (the outcast, poorest community in India). She was welcomed with joy supreme! Upon arrival, the tunes of Shirdi Sai Baba's Arati, smiles and cheering of Adavasi children, who were all lined up and beaming with joy, simply gave goosebumps to everyone! So much love from the children was never anticipated. After Yoga our HSTY team visited their school nearby and could witness first-hand the conditions in which they were studying. And yet, they radiated so much joy. Interaction with the children was so beautiful, proving that love can overcome any barrier, including that of language. Devi entertained the children with several lines in Marathi language from the movie “Foreignchi Patlin” in which she acted in 1998. Meeting a movie heroine and practicing Yoga with people from various countries was a surreal and joyous event for the children and our HSTY team as well. HSTY Teacher Training Course was filled with so many unexpected moments of joy and Grace, making it truly memorable. 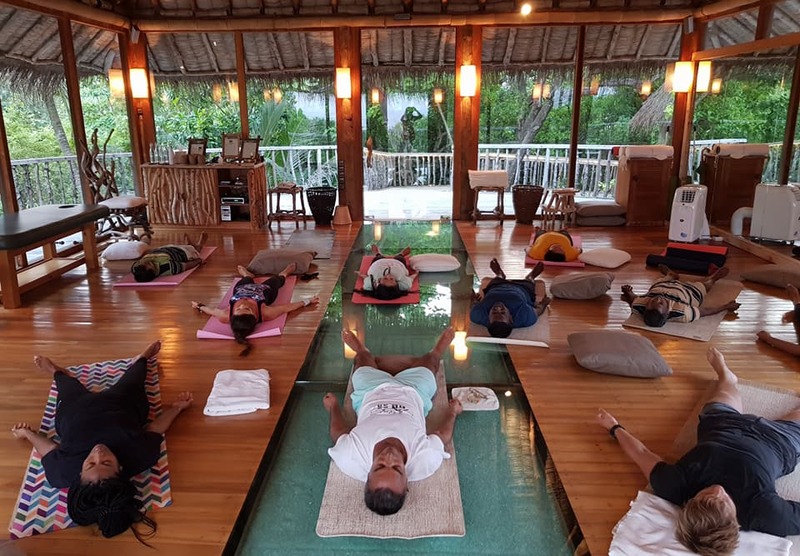 In Jan 2018, Devi Mohan conducted several morning and evening Yoga session for the staff and Senior Management of Soneva Fushi Resort in Maldives. 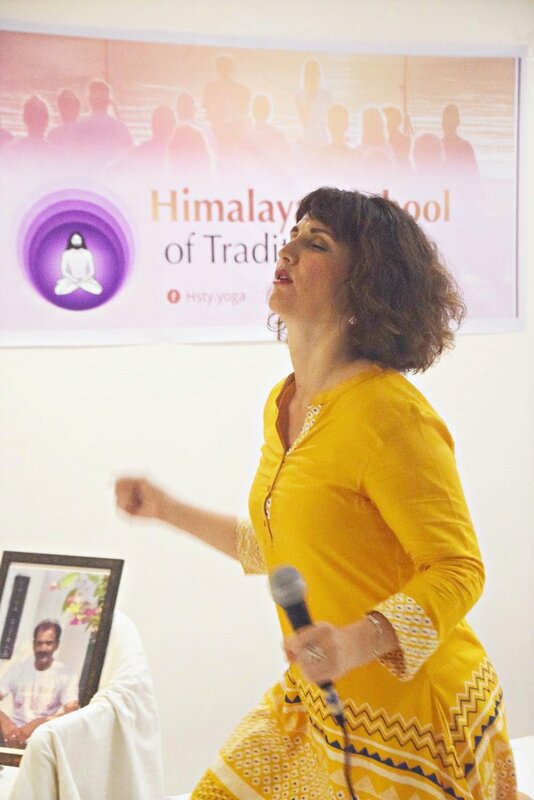 She shared most beneficial pranayama and Yoga asanas in line with the program of Himalayan School of Traditional Yoga that would help them in their daily life and work. The farewell HSTY session for the staff and senior management of the Soneva Fushi Resort that took place on Jan 5th 2018 was exceptionally beautiful. 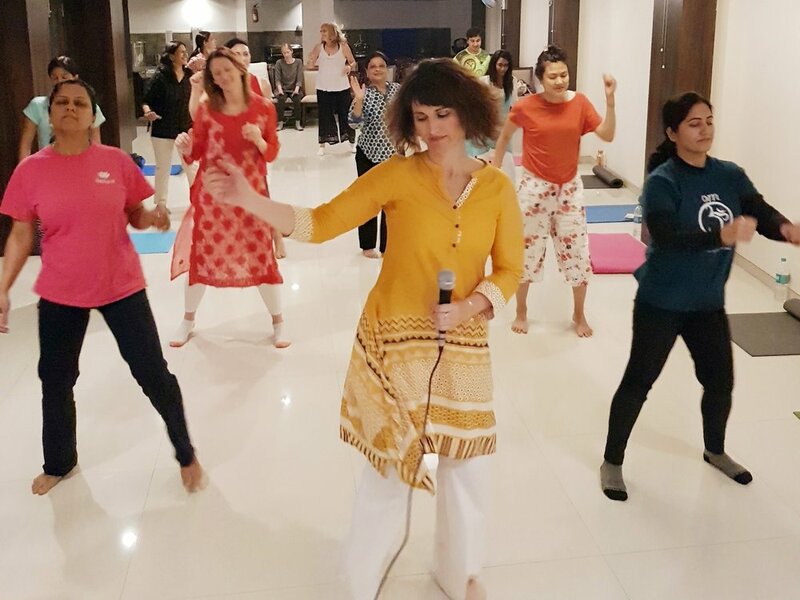 This time Devi Mohan guided the group through a beautiful indoor evening session focusing on the hip flexors, psoas muscle, deep glutes and overall 2nd chakra area, working on cleansing the 'deep waters' within. 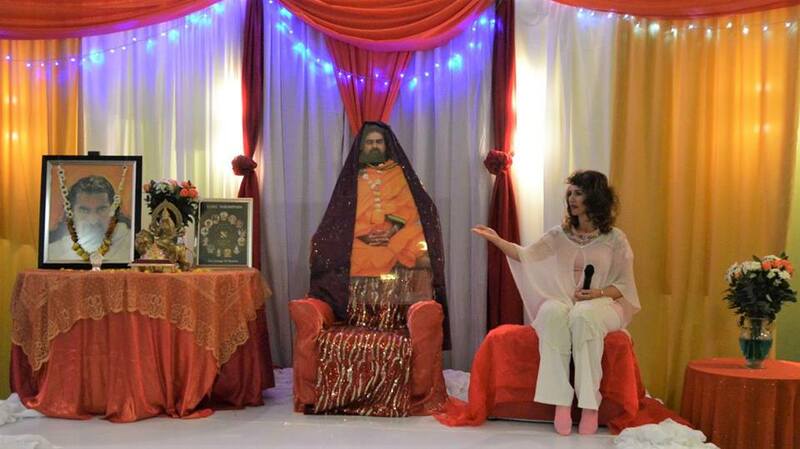 All felt amazing difference in the body afterwards and thanked Devi from the heart. 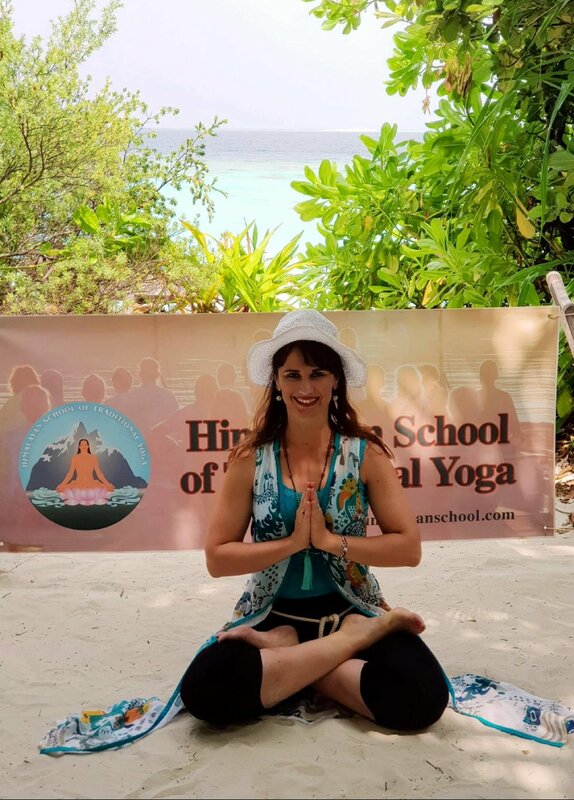 Devi said that the amazing group energy, great receptivity of people, coupled with the overall beauty of the venue and surrounding, made all the Yoga sessions in the Maldives truly memorable. 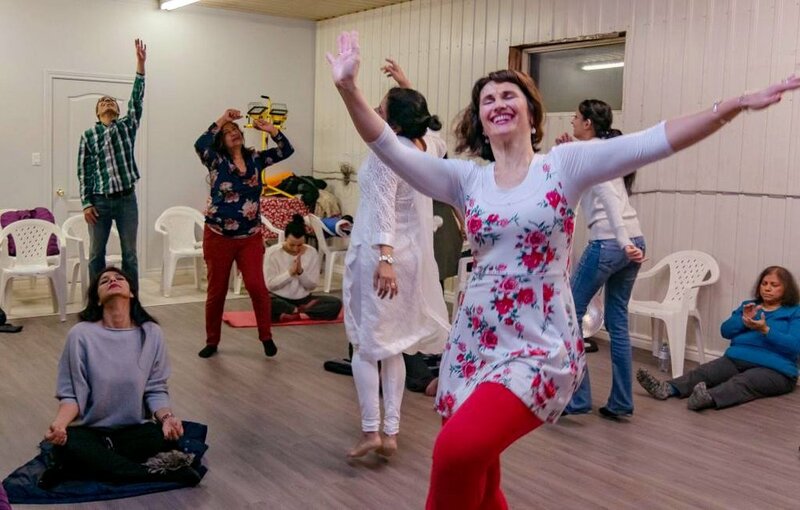 Devi conducted Yoga sessions during Mohanji’s Retreats at many locations around the world, but what made Bor Lake Retreat with Mohanji special was the number of people (140) and the dedication with which they followed all the instructions. This built superb group energy and thus made the morning Yoga sessions and Awakening Yoga Nidra with Devi truly memorable. This is how the Program organizers described the experience: “Truly memorable two days filled with continuous blissful experiences that simply blew us off our feet - we so enjoyed wonderful talks by Devi Mohan and were deeply touched by her experience sharing stories that gave us more clarity about Mohanji’s spiritual work, while also touching our hearts in deep and profound ways. With each hour of the program we were becoming more and more close to each other. All fell in love with Yoga during our morning HSTY sessions during which Devi made us enter into positions we never imagined before in her fun and captivating way. 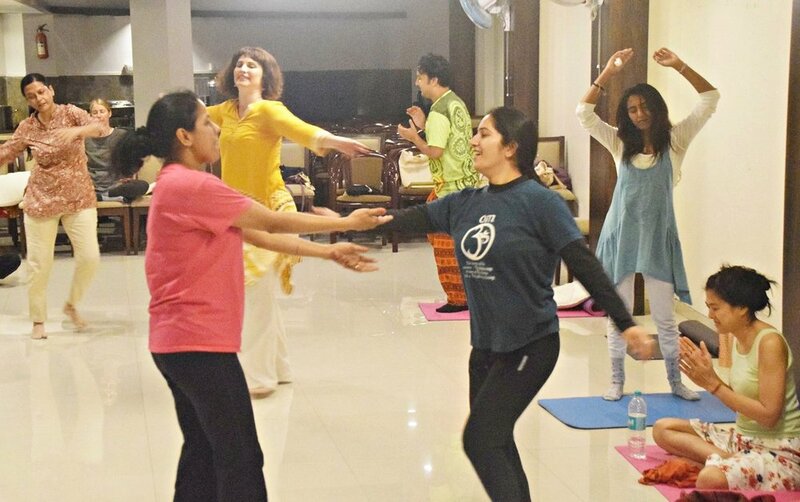 All new lightness and joy was experienced by all after each Yoga session. 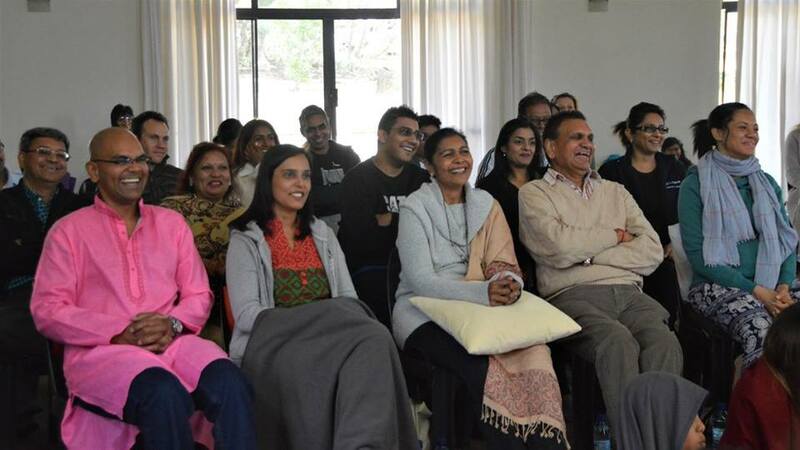 On 17 September 2017 Devi Mohan conducted a beautiful yoga session of Himalayan School of Traditional Yoga in Johannesburg to more than 40 participants from South Africa eager to learn and experience the beauty of Yoga. After Yoga session Devi conducted a breathtaking session of Awakening Yoga Nidra (www.mohanji.org/awakening-yoga-nidra/ ) which was a deeply profound experience for all. The entire event was transformative and left a lasting impression. The Weekend Yoga program in Durban is next in line. 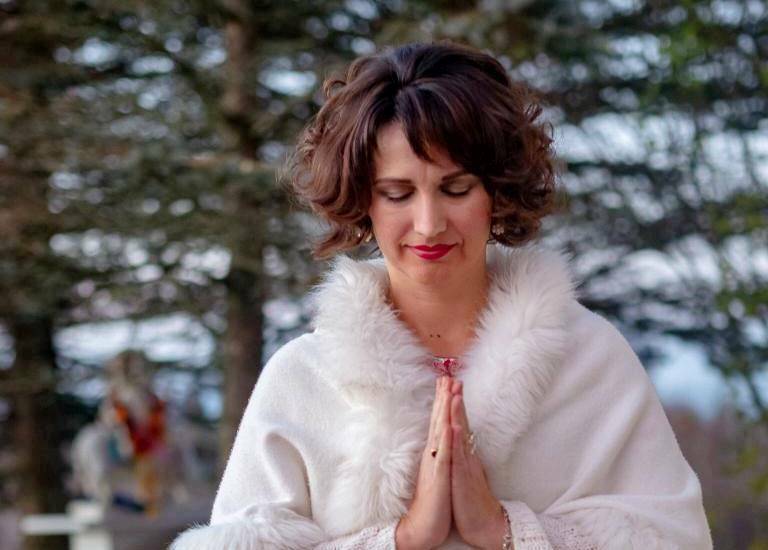 “Sedona Yoga Festival is a really amazing platform for Yoga and experiential spirituality which included an overwhelming array of high-quality sessions and workshops that included Yoga, meditation, breath-work, crystals, kirtans and bhajans, gong baths, various forms of alternative healing, etc. It was especially wonderful to experience the exchange of energy between Mohanji and such amazing audience. He was a true mirror of their maturity and beauty. It was magical and deeply touching. My first session was indoors with approx. 20 people. I was amazed to see that most of them practiced Yoga for more than 15 years, traveled to India, have been practicing Kriya for years, and/or are Yoga Instructors themselves. I totally did not expect that. However, they were as humble and receptive as they could be and their maturity created truly amazing group energy. This trend continued throughout Sedona Yoga Festival. I thanked them on this experience and felt truly honored to be in a position to be the instrument of Yoga teaching to such wonderful people. Right after my first Yoga session I attended a beautiful session led by Tao-Porchon Lynch, a true inspiration to all Yogis, Yoginis and/or Yoga Instructors out there - although 98 years old, she is superb in her Yoga practice, full of life, love and enthusiasm. She really touched my heart and I so enjoyed her radiant presence. It was an amazing honor to meet Mark Whitwall, a distinguished teacher of 'Heart of Yoga' and one of the best contemporary Yoga instructors from the tradition of Krishnamacharya (1988 – 1989). It’s always a great blessing to exchange insights with a true servant of Yoga. Second Yoga session was outdoors, on a beautiful terrace with a view of the stunning red rocks of Sedona. Exactly during sunrise the time for Sun Salutations (Surya Namaskar) came and made it magical. In all my Yoga practice this was the first time that I really felt it – immense heart-melting gratitude and expansion while flowing with the Sun Salutations and chanting the mantras saluting the Sun, giver of life, friend of all, the one who illumines our lives… It was heavenly. All present truly appreciated Himalayan School of Traditional Yoga. 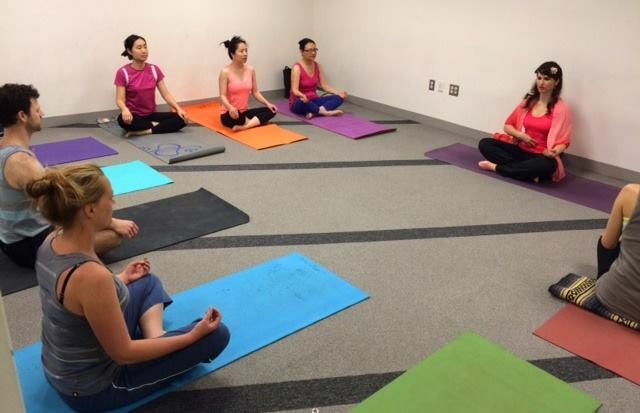 Devi said: “It was a true priviledge and great joy to conduct a Yoga session to the staff of The World Bank in Washington DC. 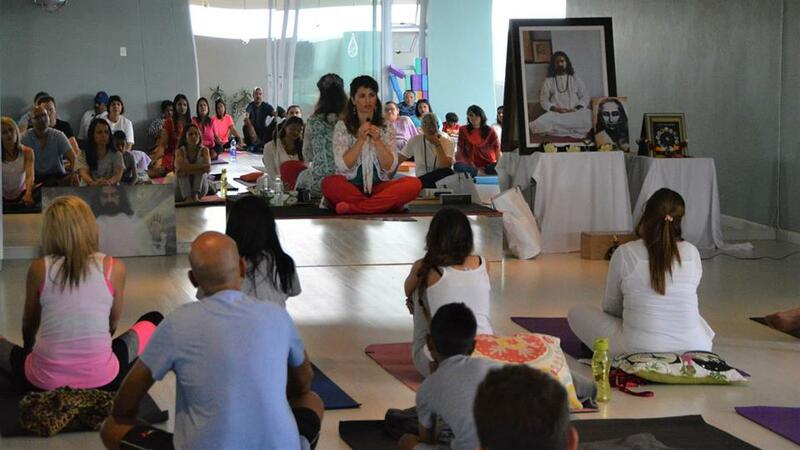 It is commendable that lovely people of all nationalities choose to forsake their lunch and gather several times per week during the lunch break to enjoy the blessing of Yoga. 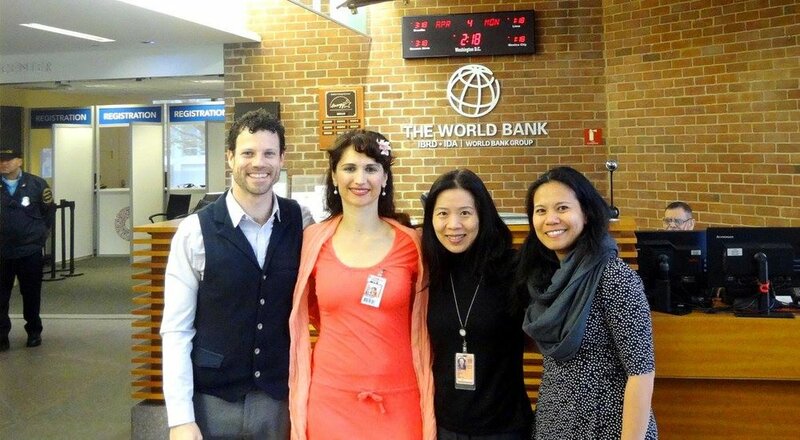 This was my second time to conduct Yoga at The World Bank and this year experience was even greater than 2 years ago. The receptivity and dedication of these lovely people was truly awesome - intensity during each asana and deep relaxation during Yoga Nidra brought blissful radiant smiles to all :-). 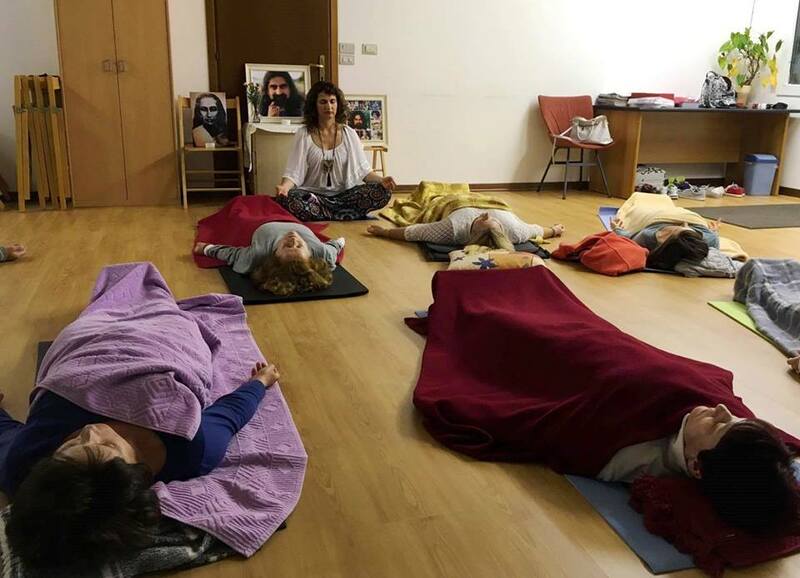 Seminar "Yoga Journey Through Chakras", Studio One, Split, Croatia 16 - 17 Jan 2016. 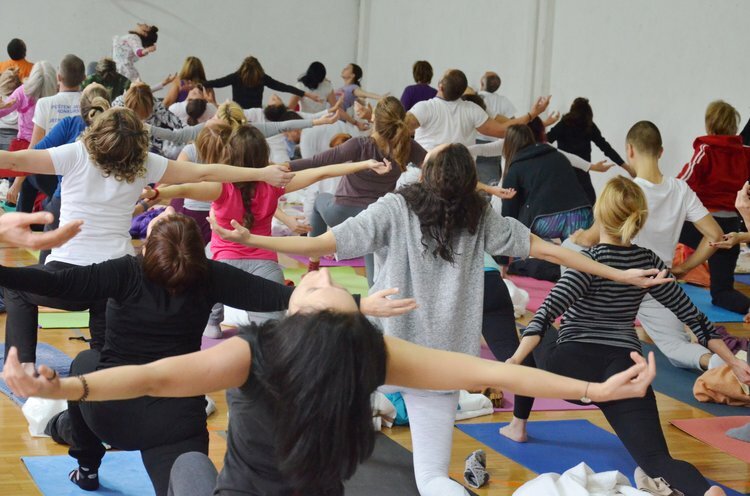 "Devi Mohan said: “A memorable Yoga seminar - great energy exchange with lovely Yoga enthusiasts. 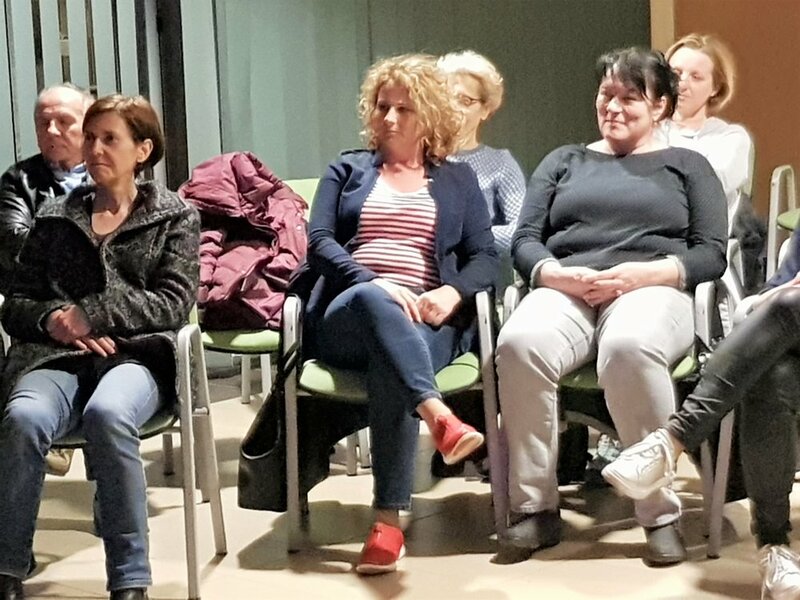 Thank you Damir and all my new friends from Split, it was a real pleasure to be in the flow and share the insights and knowledge of Yoga from the heart with future Yoga instructors and dedicated Yoga practitioners. Group energy was wonderful. 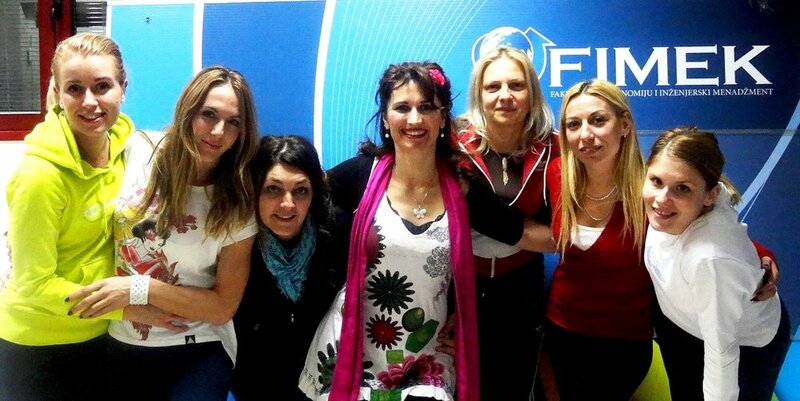 I surely will remember this seminar and look forward to coming to Split again." A weekend workshop "Yoga Journey Through Chakras" at Dedicate Yoga Studio in Bucharest Romania Jan 14 - 15, 2017 was a memorable experience. 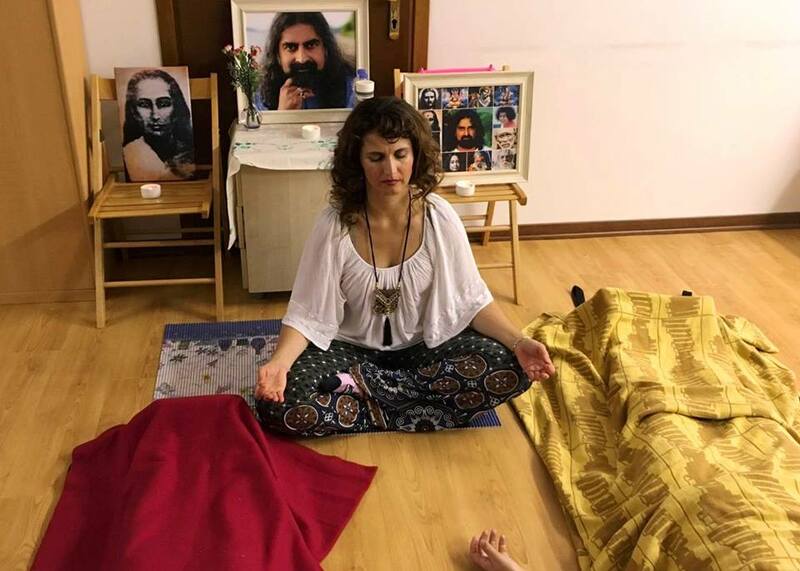 Devi Mohan said: "It was a true honor to share insights and knowledge about chakras and Yoga with individuals who are eager to learn more about this subject and apply this knowledge in their daily life while understanding the lessons of life associated with the chakras. 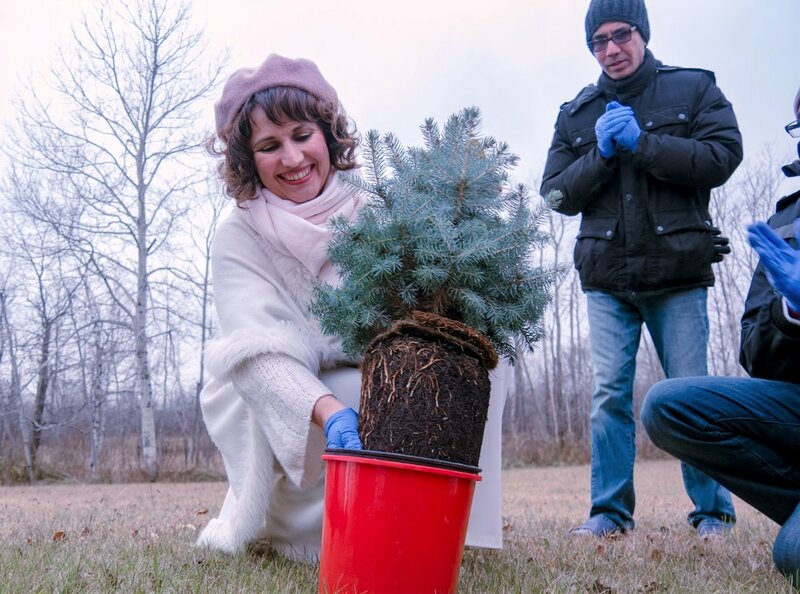 Gratitude to dear Alexandra Dumitrescu for organizing the workshop and Alexandra from Dedicate Yoga Studio on providing the venue we truly enjoyed." Seminar “Embracing Your Self” was an intense and transforming seminar consisted of 5 lectures of 3 hours of duration each. 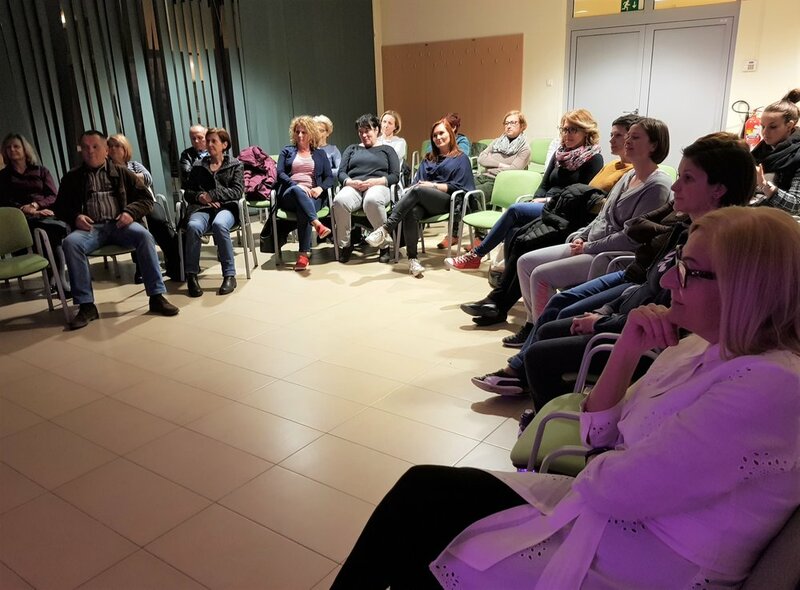 It was conducted at the FIMEK University in Novi Sad, Serbia in mid-October 2015. 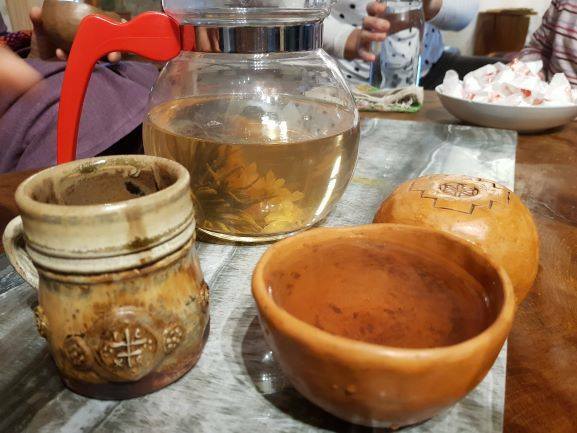 More than a lecture, the seminar was of an interactive nature, providing precious life skills to students, which they otherwise do not get to learn over the course of their education. Techniques that were presented were all highly effective and easily applicable in daily life and challenging life situations. Examples were strengthened by sincere sharing of Devi Mohan’s real life experiences which touched the hearts of the seminar participants. How to calm the mind and consciously direct our thoughts for the highest good, center ourselves, improve concentration and control our emotions – practical application of meditation, Yoga, ancient breathing techniques (Pranayama and Swara Yoga) in order to attain these goals. Deeper understanding of human aura, energy centers (chakras) and meridians – experience and life lessons through chakras with real life examples. How to deal with stress, anxiety and other challenges of a fast-paced life full of pressure. Energy laws (Law or Attraction, Law of Karma) and how they truly work. Basics of healthy food and a holistic approach to life and health.